Too many times restaurants lack personality and spark. Food can be delicious, the service prompt and delightful, yet the interior is generic and uninspiring. Considering how many options you have in turning your restaurant into a unique space, allowing it to fade into the background is a missed opportunity. Visual clues paired with excellent service can create memories that work better than any marketing strategy in bringing customers back. One of the easiest ways to create a strong visual impact is to be daring when decorating your walls. Turn your walls into your canvas and put your artistic vision and talent to good use. 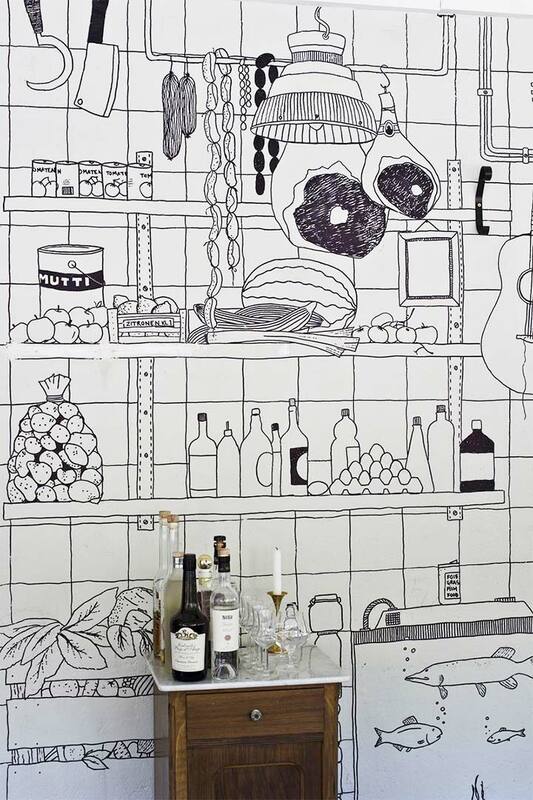 If you need some inspiration, here is how a few creative minds created one-of-a-kind restaurant wall decor. 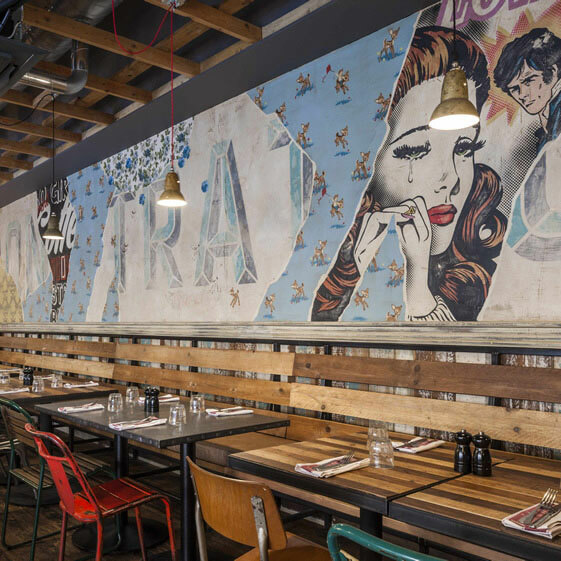 One of Jamie Oliver’s restaurants in London uses wallpaper in order to achieve a look best described as a combination of retro and old-time. If other commercial spaces try to create a feeling of nostalgia by exposing or distressing walls, ripped wallpaper stripes can have a similar effect. The combination of older and newer patterns seems to tell the story of the building and unravel its age. If your restaurant or coffee shop is designed around a book theme, the No. 1 Biblioteca wall mural created by Ekaterina Panikanova creates single-handedly the atmosphere you are looking for. 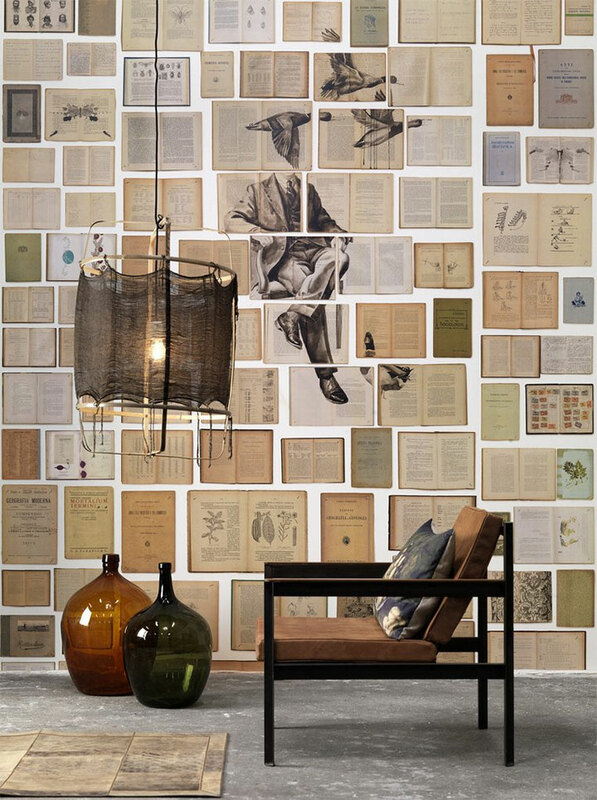 Heavy-duty, washable and easy to install, the wallpaper surrounds the book lover with the color and spirit of old pages, their stories, and the occasional drawing that brings them together. This is also a smart way to warm up a space with the image of books without the need for any extra storage space. In the world of restaurant wall decor, the Sharpie is not exactly the star. But don’t underestimate it. Here is one example of what a few Sharpies and an appetite for drawing can do for a restaurant kitchen. White tiles give you a high-contrast, glossy canvas, but the Sharpie can also make an impact on other colors or materials. Depending on the artistic talent you have at your disposal, your drawings can be even more elaborate. Babylonstoren, a well-preserved working farm and superb country getaway in South Africa provides five-star guest accommodation in its beautifully decorated farm buildings. 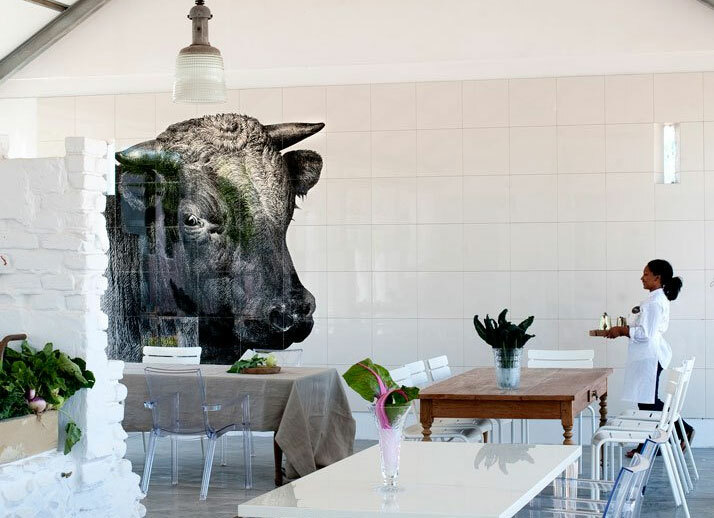 Included in this quaint and charming space, the milk-white restaurant, once a cowshed, doesn’t hide its past. 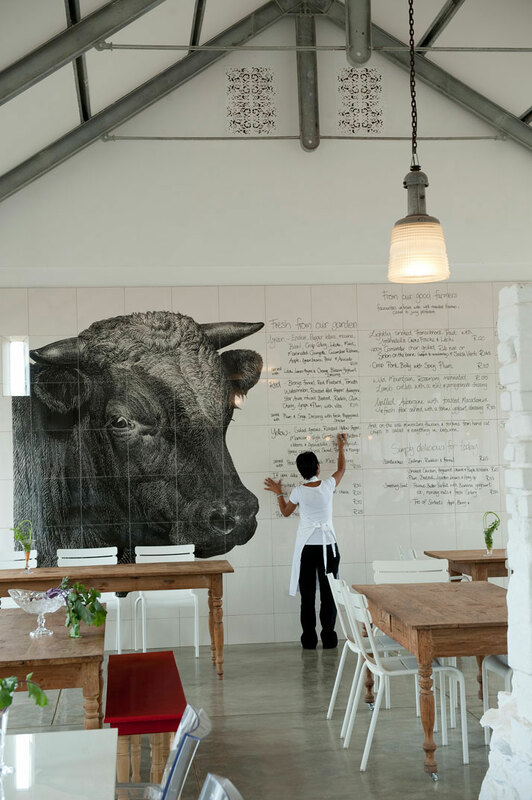 A large drawing of a cow paired with a write-on wall is everything this restaurant needs to make it different. Regardless of the material you choose, a unique oversize image can completely change the mood and character of your interior. The Hotel Mera Brasserie in Sopot, Poland, makes the same point. 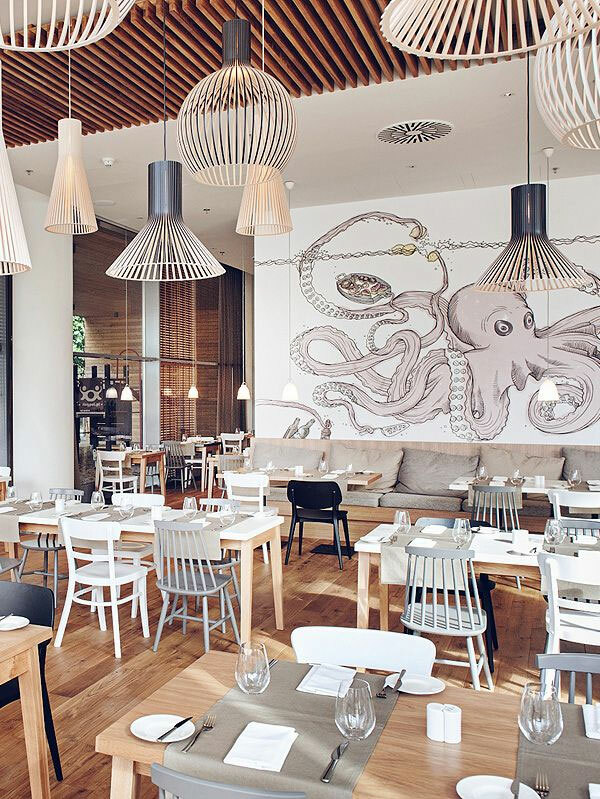 Created by the Polish studio LOFT Magdalena Adamus, the design includes the image of an oversize octopus, a fitting choice since Sopot is a seaside town. It shows that a singular image, when done and placed right can transform your space – and that choosing paint or simply patterned wallpaper should be only one of your many restaurant wall decor options.